Since its debut last summer, it’s been nearly impossible to avoid the screaming siren and faux-giddyup-ing phenomenon that is Gangnam Style. Oddly, the only area of the world that seems uninfected by the viral sensation is Japan, which usually loves Korean pop artists. 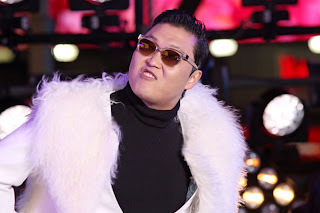 Instead of embracing PSY, the Japanese prefer any number of Gangnam Style knockoffs, most notably the K-Pop All-Stars remix that currently sits at No. 67 on iTunes in Japan—for $1.69. Yes, it’s baffling that anyone would pay for the original when there’s YouTube (GOOG), let alone $1.69 for a remix that is, take my word for it, much worse. 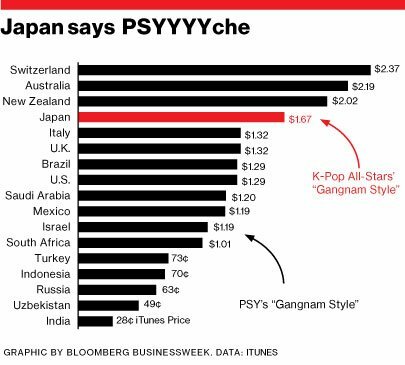 And while the global disparity in iTunes pricing is well documented, Japan’s unparalleled disinterest in PSY makes the relatively high price of the K-pop cover even more curious. Japan’s PSY-aversion has been attributed to a fallout with the artist’s label, which promised a Japanese-language version titled Roppongi Style that never came. Others point to political tensions between the two nations. The most likely reason may also be the most shallow: PSY isn’t hot. Kotaku described the Japanese infatuation with beautiful Korean pop stars as such: “Gangnam Style has attractive women in the video, but PSY is not handsome. For the Japanese, he probably looks more like some comedian, so people might wonder what the fuss is over the song."